CUPE/SCFP Local 1281 is a chartered local union of the Canadian Union of Public Employees. Local 1281 was founded in 1974 by the employees of the Ryerson Students’ Union. 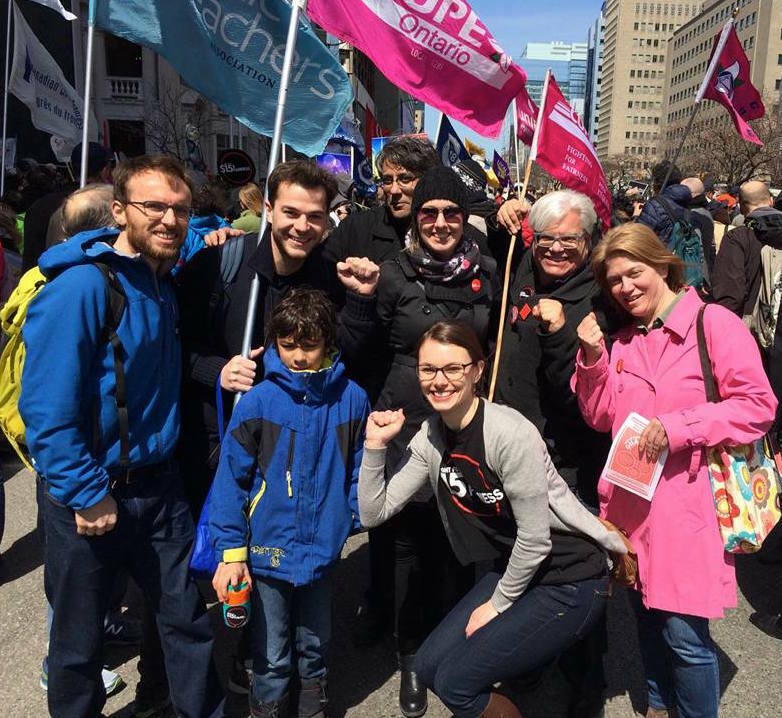 Since the late 1980s, CUPE 1281 has grown from a local with some seven collective agreements to a local that represents over 300 individual members in workplaces as far away as St. John’s Newfoundland and Winnipeg, Manitoba. There are currently over 46 separate collective agreements and “sub-locals” within CUPE 1281 that govern workplace relations in 55 individual workplaces. CUPE 1281 has become known for organising small non-profit and social justice workplaces. In order to make this project work, CUPE 1281 aims to give members in each workplace the knowledge and resources to defend and improve their working conditions.